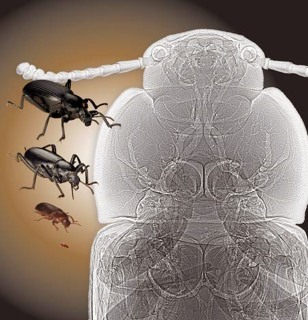 X-ray imaging of beetles helps confirm that tracheal system design may limit size in insects. More of the body is filled with air-filled tracheal tubes in larger species, particularly in the legs. So much larger species than exist today might not have room for enough tubes.